The process of choosing and visiting wedding venues is a very exciting and fun time, but it can be slightly overwhelming too. When you feel like you've found the ideal venue it is often easy to get carried away and become impulsive, so it's important that you come armed and ready with all the essential questions to ask the wedding venue to ensure you get the perfect venue for you. As experts in the wedding industry, Country House Wedding Venues share with us all the crucial questions you need to ask your venue with all parts of the day covered, plus a handy print out for you to take with you on the day! 1. What time can we start setting up? Your florist and those who are helping to dress the venue will need some time to get set up. 2. Will you help us decorate? Some wedding venues may have a team who can take care of things like table decorations, wedding favours and chair covers. Others might not though so make sure you check! 3. Are any decorations a no-no? Real candles are often not allowed by venues, as well as decorations that may require nailing or sticking to the walls. 4. Is there somewhere to get ready before the ceremony? Some venues will offer a bridal prep room or early access to honeymoon suite where you and your bridesmaids can get ready. Not all will have this option however. 5. How many guests can we invite? Your wedding venue will be licensed for a certain number of guests, but may have different settings which cater for a range of wedding sizes. 6. Are chairs and the registrar's table provided? Check if the chairs and tables for the civil ceremony are included in the price or whether you will have to hire these separately. 7. Are different layouts possible? Some venues will have multiple options for the layout of the ceremony setting so make sure you check to see which you prefer. 8. What are the earliest and latest times for a ceremony? 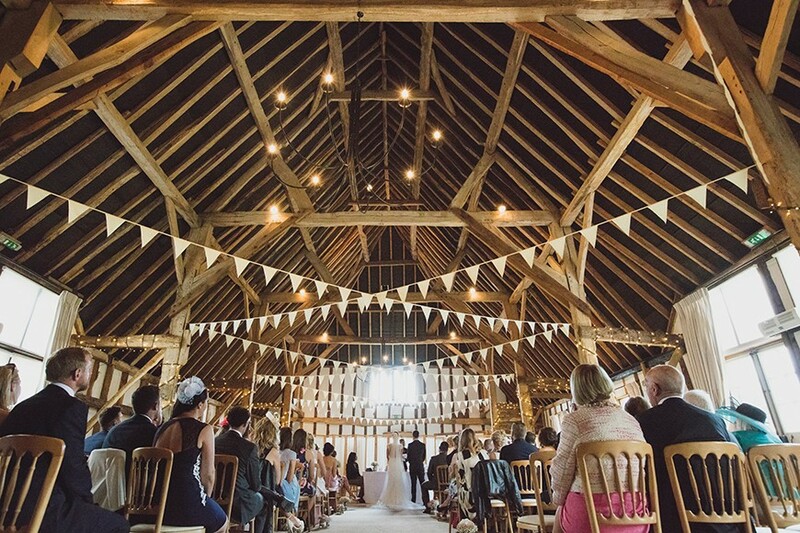 Check what ceremony times the venue can accommodate and don't forget to book a registrar once you've decided! 9. Where can we hold the drinks reception? Is there a separate area for a drinks reception? And are there options both inside and out? Check with the team so you can plan your day fully. 10. Do you have a preferred caterer? Some might have one, while others might have a few to choose from. Find out and start exploring your wedding breakfast options. 11. How many can be seated and are there different layouts? Your venue may be able to accommodate different guest numbers depending on the layout. 12. Is there space for a crèche or quiet area? A separate room to set up a children's area can be useful, and so is a comfortable seating area for older guests. 13. Is there a licensed bar? Most venues will include a licensed bar in the fee but always check to avoid to avoid any nasty surprises. 14. How many extra guests can be invited in the evening? When finalising your guest list, it will help to know if you can invite more people in the evening if you need to. 15. Do you have a dancefloor and are DJs/bands ok? Many wedding venues will have a designated area for dancing. Double check if the venue has any rules about the number of band members or preferred suppliers and don't forget to ask whether your venue has a decibel limiter. 16. What time do you close? Find out what time the bar closes, what time music should finish and what time the venue closes, so you and your guests know what to expect. 17. What happens if it rains on the day? Hopefully your venue will have a plan in place if the rain starts to fall! 18. Where are the best photographic opportunities? The team at the venue are the best people to ask about the most beautiful spots for photos. 19. Do you have accommodation? Check if you and your guests can stay on-site and how many the venue can accommodate. 20. How much do the rooms cost? Whether you'll cover the cost yourself or ask your guests to pay, ensure you have a good idea of the prices of the rooms. Remember, some venues may also charge a fee for unoccupied rooms. 21. What local accommodation is available? If they can't stay at the venue, then your guests are going to need somewhere to spend the night. Check what's available in the local area. 22. Do you allow fireworks/sky lanterns? It's rare for venues to allow lanterns because of the safety risks and fireworks aren't often permitted either. We strongly advise checking with the venue if you're hoping to have either of these.